I finally get a chance to have Autodesk certification test. I tried my luck with AutoCAD. There is a big difference with the last time I got my Revit certified professional title. Now there is no associate certification. You now can get professional certification without having to pass the associate exam first. Associate exam doesn’t allow you to access the software. So you have to memorize and understand the tools and concepts. Our problem is we don’t use all tools during our daily task. Especially if you have specific task at work. So this can be difficult for many people. 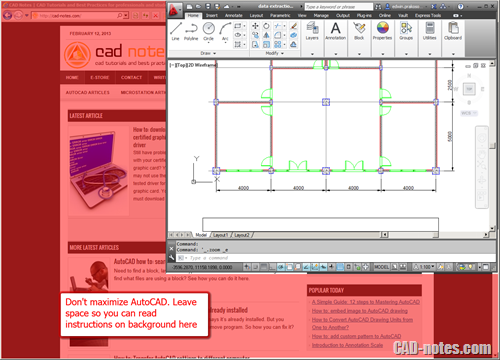 Below is for AutoCAD. As you can see, no advanced topic like Sheet Sets, Design Center, parametric design, dynamic block, etc. In my last experience, the biggest problem about professional exam is not that we don’t know the answer. There are some technical problems, and some because we don’t have the right strategy. Let me share what I see during the test. In the exam, some testing centers don’t provide computers for us. We must bring our own laptops. If you experience the same, make sure your software works properly. There is someone who installed Inventor 2013 on Windows 8 machine, and many features don’t work. He was lucky the proctor allowed him to take test after his friend is finished. So he can borrow his friend’s laptop. There are many questions that need you to do several instructions. 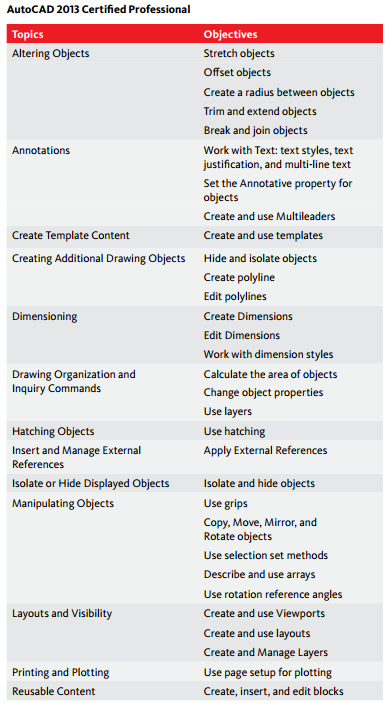 Change the object size, rotate it, scale it, change annotation scale, and so on. If you try to go back and forth between the application and secure browser, you can waste a lot of time. And sometimes you get lost. 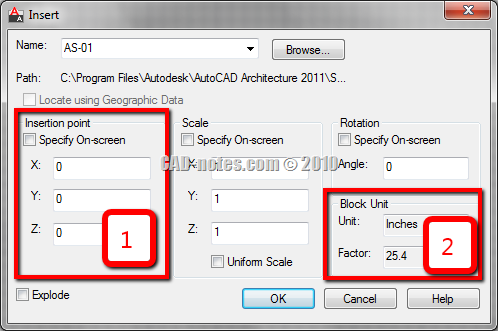 If you have high screen resolution, then don’t maximize AutoCAD (or whatever your software is). Resize the window to allow you see the instruction. This will allow you to read the instruction and continue working with your software. Without going back and forth between those two windows. *The image above is only for reference, not what you see in the real test. Try to get comfortable with it, if you are not used to work like this. In my opinion, the real challenge is not the software itself. But to understand the question. Especially if you don’t live in English speaking country, this could be a real challenge. Some sentences are quite long and choices look the same. Read them carefully. They are intended to confuse you. Make sure you know the differences between choices and you know which one is correct. And make sure you understand the question. If it was too confusing, you may want to mark it and come back later. The test is pretty simple. They give you a set of instructions, and you follow it. They even mention the command to use. Should be easy, right? Again, you need to be careful. If the instruction says to mirror using a line, then use that line. Don’t mirror along Y axis just because the line looks vertical. 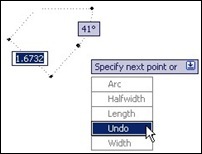 Most of the questions ask you to measure distance between points, object length, and area of objects. So get familiar with the inquiry tools and object snaps. AutoCAD commands has many options. It’s impossible to know them all. The good thing about AutoCAD commands is, you can see all options on command line. There are some useful options on ribbon as well. Honestly, I never knew there is a ‘Polyline’ option in Fillet command. I was saved by command line. Another thing that I figured during the exam is that you can change the polar array direction from ribbon. So if you are not sure, watch command line and ribbon. I know many people probably hate ribbon, but get used to it for the exam. It will help you. You must have read about it before. Yes, the easiest way is to copy the value from properties palette. Or command line if you use AutoCAD. This will prevent typos error. Have you taken Autodesk certification before? If you have, did you pass? What is your experience with the exam? Share your experience with the exam here! You can also share your tips here. when the question asking distance between two pints which tools should we use to measure it? dimension tools or utility tools? What is the passing score? What about the passing score for Inventor? Thanks for the helpful article? The passing score is different for each software and version. The more difficult the test, the lower the passing score is. You can ask the testing center for the answer. Thanks for sharing this article I would share your article with my students who want to do autodesk certification course. My daughter just passed her first one. She is a freshman at Brooklyn Tech. High School. Do I owe her a dinner or something? Many people think it’s not easy.